Noted golf course architect William Flynn turned out to be something of a clairvoyant. In 1927, he predicted the need for longer golf courses, a result of rapidly advancing equipment technology – even as early as the mid-1920s. And indeed courses have become behemoths, especially by the standards of Mr. Flynn’s era. The idea of an 8,000-yard track is no longer a ludicrous notion, but a matter of reality (there are at least seven such courses in the US and a few more internationally). This means that the need for fairway woods and hybrids, and the combination of distance and control they offer, is more prevalent than ever. With the boom (pun intended) of distance improvements in drivers, that same technology is now being offered in fairway woods and hybrids. When looking for such a club, be careful to purchase one that covers distance gaps rather than just going for sheer distance. Otherwise, you might end up with a handful of clubs that all fly about the same distance as your driver. This club was not designed for the players with mid- to high-handicaps, as evidenced by its $300 price tag. Callaway doesn’t argue otherwise, either, even stating so on its website. The cup face technology is engineered to take high ball speeds and generate even more, allowing for longer distances. The shape of the face, too, has an impact, as it has a wraparound effect, creating for more forgiveness on off-center shots. 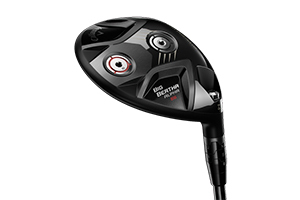 The club boasts a pair of adjustable features as well, including two sole weights in which the player can toy with the ball flight he desires – a higher flight will have him place the heavier weight in the back, a lower flight will require the heavier weight towards the front. The other feature is an adjustable hosel with eight settings, allowing for the player to adjust for desired loft and lie angle. “Become the King of the fairway,” is the slogan behind this club. It’s likely that the player can, too. 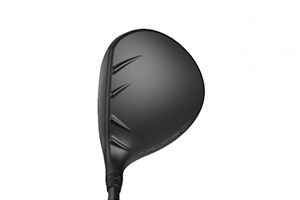 Cobra has always been known for producing more forgiving clubs, but the LTD fairway wood is especially so, with a low center of gravity that provides forgiveness on shots both on- and off-center. There are, of course, adjustable loft settings, called 3-4 and 4-5, the former producing a longer, lower ball flight, the latter a higher, shorter ball flight. But what’s unique about the Cobra King LTD is that it does not sacrifice distance for forgiveness. The crown is comprised of what is called TeXtreme Carbon Fiber, which is 20 percent lighter than standard carbon fiber. This allows for more weight to be repositioned lower and deeper in the head, creating both additional forgiveness and distance. 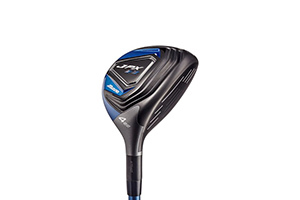 It’s an aptly named product, as one does not usually associate a tremendous amount of weight with either the word “vapor” or “fly.” And, indeed, this is one of the lightest fairway woods on the market, with weight removed from the face and crown and distributed to the sole of the club to produce more forgiveness and a lower center of gravity. Credit some of that forgiveness, too, to a wider edge around the club face. 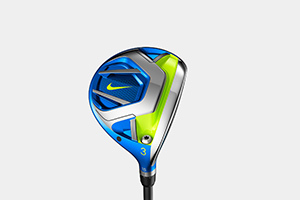 The overall look, however, remains Nike to the core – a bit obnoxious in its electric blue, and an in-your-face swoosh on the club head, complete with a honeycomb design. It’s attention grabbing, to be sure, particularly so because it’s the wood of choice of Rory McIlroy, though likely not for everyone. Ping’s trademark has been that its products are easier to hit than other brands, and Ping has outdone itself with the Ping G fairway woods. They were specifically designed to be hit in “all situations,” per its website. How did they accomplish this? 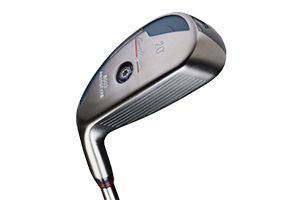 It lowered the leading edge by 3.6 mm, moving the impact position 12 percent higher on the face of the club. Simply put: It’s easier to get the ball in the air, no matter the lie. A drawback to this is that the center of gravity is lower, which will produce a higher ball flight, though a more consistent one as well. Adding onto that, the G also features the thinnest crown of any Ping fairway wood, another forgiveness-inducing feature. TaylorMade has designed its most adjustable club yet, to the point that, yes, there’s even a “tuning manual.” Golfers can customize their shot shape and loft with a pair of sliding weights, and there are also adjustable features on the crown, front track system, and 12 possible positions on the loft sleeve. 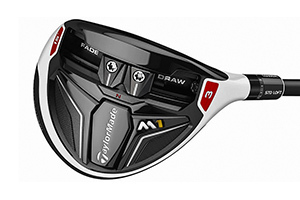 It’s a complicated way of saying that if there’s a particular ball flight you desire, you can have it with the M1. You just have to make a few adjustments. Like the M1 driver, the fairway woods use a lighter material, redistributing that weight to the sole of the club, which adds forgiveness and reduces spin off impact. As hybrids go, this one is especially unique, resembling more a 3-wood than a traditional hybrid. It’s longer from heel to toe and deeper from back to front, which will help create more ball speed and a more forgiving surface – even more forgiving than the typical hybrid. The larger head will also create a higher launch angle, up by 2.2 degrees, and a subsequently softer landing. With all that in mind, it may initially appear as a club catered to the higher handicap crowd, though Luke Donald has slipped it in his bag on numerous occasions this season. Even the pros can use a little extra forgiveness. 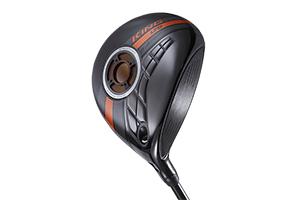 No matter your preference of loft when it comes to your hybrid, the Titleist 816H1/H2 will have it. 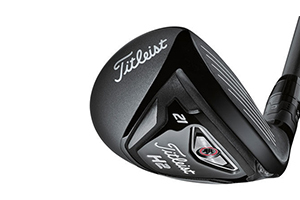 Between the bigger, more forgiving H1 and the more compact H2, there are nine loft settings to choose from when selecting this hybrid, ranging between 19-27 degrees. The Active Recoil Channel (a channel across the sole of the club just behind the face) flexes at impact to create high ball speed and a low spin rate, allowing the ball to fly farther even on off-center hits. Like the Mizuno JPX EZ, the H1’s larger appearance will inspire confidence in players simply seeking solid contact, or forgiveness needed to keep the ball in play. Whereas many hybrids are concerned about forgiveness, giving golfers confidence in a longer shot they otherwise wouldn’t if they were handling, say, a 3-iron, the Ben Hogan VKTR is all about precision. There are four movable weights to adjust to change the ball flight, including direction, loft and spin. It can be argued that no hybrid is more focused on shot shaping and precision, which of course fits its namesake, who was known primarily for his remarkable accuracy with his irons. Like Hogan irons and wedges, the hybrids are offered in one degree increments, from 17-27. 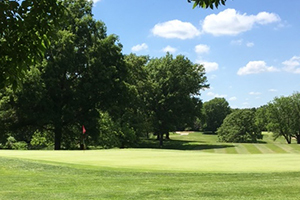 One hundred years have passed since Hillcrest Golf and Country Club, designed by famed architect Donald Ross, opened in southeast Kansas City. A century later, not much has changed as Hillcrest continues to provide golfers a classic, rolling layout surrounded by woods and without a house in sight. Ross, a Scot born in 1872, has designed some of the most fabled golf courses in America, including Pinehurst No. 2, Congressional, Oak Hill, Inverness and Oakland Hills – every one of them a host to major tournaments. It is no wonder Hillcrest embraces Ross as much as possible in promoting the course. “It definitely has become advantageous for us to do that,” said Shawn McGuire, general manager at Hillcrest. “It is our ace in the hole.” Hillcrest is formerly private, but now open to public play while still offering memberships. Hillcrest has some classic Ross traits, such as so-called turtleback greens, which are usually elevated, with drop-offs to the rear. “Most of the holes are in front of you, but the greens are the tricky,” McGuire said. Being in the right part of the green for the first putt is important, he said. Greens can be deceptively fast but are kept at reasonable speeds for most golfers, McGuire said. The course covers rolling terrain with a few doglegs, but greens and desired landing areas en route are usually visible on each shot. 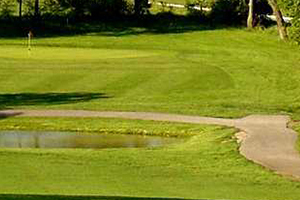 Hillcrest helps players navigate the course by providing not only a GPS on each cart, but also pro tips that suggest where to aim the next shot. The course just received a new fleet of carts, McGuire said. He also pointed out a number of recent course improvements, including better drainage of some traps and leveling out of the 6th fairway – all of which improve the overall golfer experience. 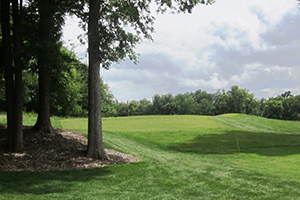 Hillcrest has four total sets of tees, allowing anyone to enjoy the historic layout. It is not an overly long course, stretching to 6,781 from the tips and playing as short as 5,452 from the forward tees. In between are the white tees at 6,328 and the gold tees measuring 5,860 yards. 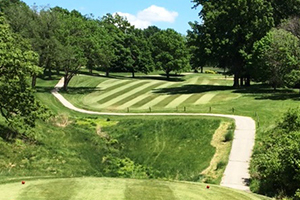 Improvements to the golf course and clubhouse, along with bargain monthly dues, have helped Hillcrest more than double its membership in the past 20 months or so. As of late May, Hillcrest had 254 members, up from 118 previously, McGuire said. Monthly dues for golfers under age 40 are just $150. Over 40, fees are $200 per month and family memberships are $300 monthly. There is a one-time application fee of $150. No minimum spending is required in the pro shop or dining areas. Memberships include power carts, 14-day advance tee times, unlimited range use, merchandise and event space discounts, club storage and full use of the expansive locker rooms in the historic clubhouse. 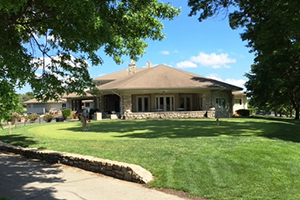 When play at Hillcrest is restricted due to events, memberships are honored at Prairie Highlands Golf Course in Olathe. Hillcrest also has highly competitive daily fees, ranging from $25 to $40 weekdays and $30 to $50 weekends, including cart, that vary by time of day. The club spent $50,000 over the winter to renovate the banquet hall, which helped in the booking of over 30 weddings this year, McGuire said. Other rooms in the sprawling clubhouse can host many other types of events, large and small. The club renovated the upper lounge and patio, which overlook the course, and has a smaller lounge with pool table on the lower level. 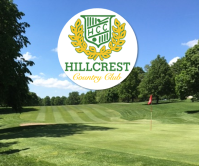 The boost in membership has prompted Hillcrest to sponsor more social and golf events, such as revival of the Big H member-guest tournament, McGuire said. Hillcrest is located at 8200 Hillcrest Road in Kansas City, just west of Interstate 435. 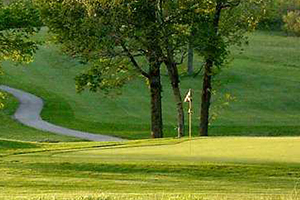 More information on the course can be found on the Hillcrest website, Hillcrestkc.com, or by calling the club at 816-523-8601. 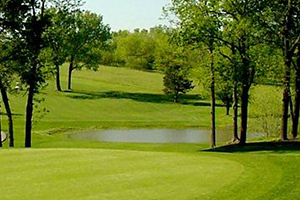 The game of golf can be a learning experience and there’s no place better to learn the game of golf than Hodge Park. Spending time to learn what a student needs is key to fashioning a successful teaching approach. Over the length of his 36 years of teaching, Underwood has written two books: “Christian Golf Psychology,” which he is currently updating, and “Whys to Golf,” which helps golfers understand how certain aspects of their swing affect their game. Although most golfers can get something out of his books, Underwood emphasizes the importance of taking lessons. 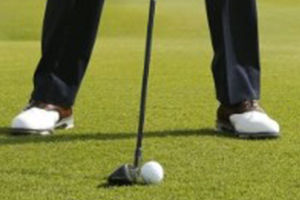 The goal for many good instructors is to help golfers learn to correct mistakes on their own. Of course, some golfers want a more rapid course of instruction. Although he’s able to work with golfers of all skill levels, Underwood will typically first meet golfers when they are just starting out. Many of those golfers eventually become very competent players. Even though players often “move on” from Hodge Park, it is still an enjoyable place to play, and the staff has kept the course mostly the same. There has been some remodeling which have brought it into ADA compliance, but otherwise players will be familiar with Hodge. 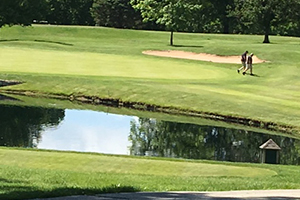 The course is located in a scenic, heavily wooded area of the Northland, west of Liberty, and measures 6,181 yards from the blue tees, making it one of the easiest walks in the city. And because Hodge attracts a wide variety of players, it’s simple to find new golf buddies. And, of course, it’s a terrific place to improve your game because it has a wide variety of holes which will challenge your shot-making ability, while not taking the fun out of the game. And, of course, for those who need it, Underwood is ready to help with their game. 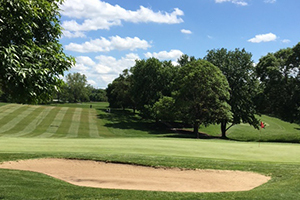 Overall, Hodge Park offers golfers a lot of fun and value. “If you’re a brand new golfer, Hodge is a great place to learn the game, meet some new friends and grow into the game,” Underwood said. 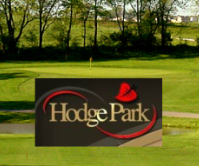 For more information about Hodge Park, visit hodgeparkgolf.com or call 816-781-4152.